This program is a non-competitive introduction to synchronized swimming. 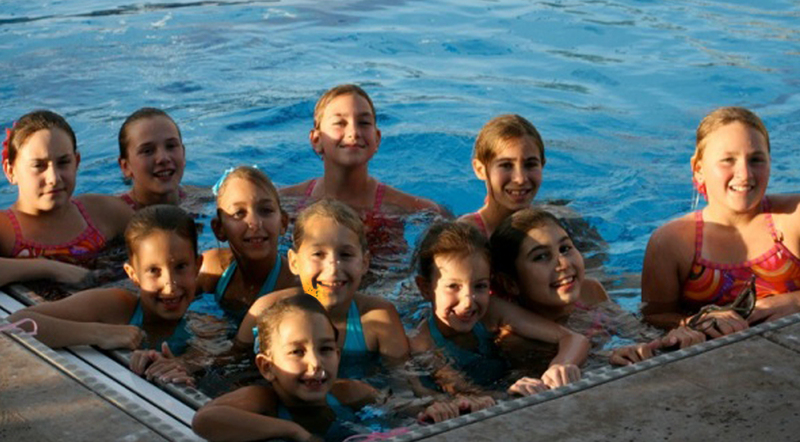 Our Saturday Swimmers program is for kids who need to work on their strokes and have no or little experience in synchronized swimming. An athlete should be able to swim two laps of crawl stroke and breaststroke as well as feel comfortable swimming in the deep end of a pool. Saturday swimmers will learn synchro skills such as ballet leg, somersaults, sculling, and eggbeater and will perform simple routines. Bring a friend and come out to begin learning this amazing Olympic sport.